After studies of Optics in Paris, Marc Alexandre completed studies in London in Optometry and Commerce. He started working as a Varilux Consultant in october1965 with Gerard Cottet in ESSEL Ltd in London. Was also a Technical Consultant from London for H.Q. in Paris from 1968 till 1976 (for English speaking countries). In 1977 he moved to San Francisco as Director of Professional Relations for Multi-Optics till the end of 1979. In 1980 he moved to France to become Varilux Product Manager with Michel Gillet. In 1986 he became Marketing Manager for Europe with Jean-Luc Bayssac. In 1992 he became Director of International Professional and Medical Relations as well as Director of Publication of Points de Vue Magazine. In 1997 he created Varilux University and stayed as Director till 2003. 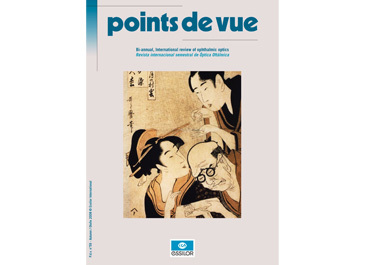 In 2005 he retired but remained Director of Publication of Points de Vue magazine till 2012.